Update April 9, 2013, 1 p.m. – The National Weather Service has cancelled the winter storm warning for heavy snow and strong winds. 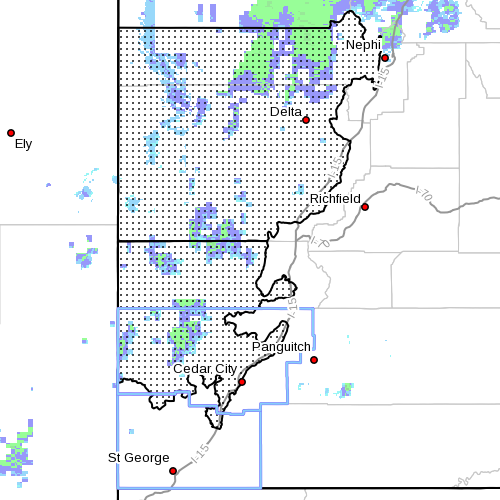 SOUTHERN UTAH – The National Weather Service’s “Winter Storm Watch” of yesterday is now a “Winter Storm Warning,” in effect today through 9 p.m. tomorrow. The western Uinta mountains, Wasatch plateau and Book Cliffs; and the central and southern Utah mountains, including the cities of Mirror Lake Highway, Scofield, Cove Fort, Koorsharem, Fish Lake, Loa, Panguitch and Bryce Canyon. • Timing: Snow, heavy at times, will develop today through Tuesday before tapering off Tuesday night. • Winds: North to northeast winds with gusts in excess of 60 mph along exposed ridgelines. • Impacts: Heavy snow and strong winds will result in winter driving conditions and reduced visibilities along high- elevation roadways. 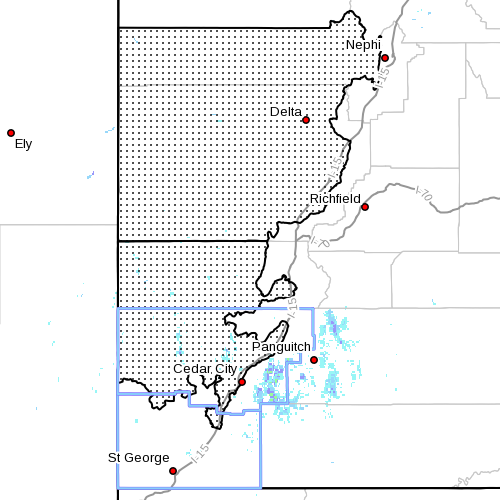 Sanpete/Sevier Valleys, West Central Utah-Southwest Utah, including the cities of Manti, Richfield, Delta, Fillmore, Beaver, Cedar City and Milford. Heavy snow and strong winds are expected from 6 a.m. in affected area 1, and from 6 p.m. in affected area 2, through 9 p.m. Tuesday. • Snow accumulations: Storm totals 3-6 inches with higher amounts possible particularly along the Interstate 15 corridor. • Timing: Rain showers will develop today then gradually turn to all snow and become widespread this evening; heavy snow at times will continue through Tuesday before tapering off. • Snow levels: Between 6,500-7,000 feet this morning, lowering to the valley floor by this evening. • Winds: North to northwest winds 30-40 mph with gusts to 60 mph. 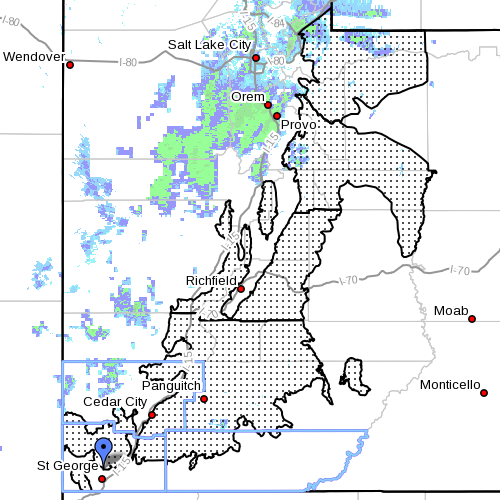 • Impacts: Heavy snow and strong winds will result in winter driving conditions and reduced visibilities along area roadways, including I-15 from south of Nephi to Cedar City tonight and Tuesday.